Aristo-Craft has also announced a SALE from July 1st until August 31 st. Purchase 4 cars, either 53' Evans Boxcars or 3-Bay, 100 ton hoppers and receive one of the same car type free. Both of these Aristo Craft Sales are great ways to increase your outdoor rolling stock. Aristo-Craft has announced they are having a SALE . Purchase 4 freight cars, any combination of 40' Steel Boxcars, 40' Stock cars, and 40' refrigerator cars between May 1st and June 30th and Aristo-Craft will give you a freight car selected from their in-stock merchandise. For further information, contact us at blrrs@crisp.net. Atlas has also announced they will be doing New Road Names for their HO Dash 8-40C locomotives. The Silver series (without decoder and sound but DCC ready) will offer Undecorated both Phase 1 and Phase 2, Chicago & North Western (one road number in traditional yellow/green and one road number "Safety & Reliability" in traditional yellow/green, and another road number "Wyoming Centennial" - yellow/green, and one yellow/green with NO road number), Conrail Quality ( blue/white two road numbers and one with NO road number), CSX gray/blue ( two road numbers and one with NO road number), Norfolk Southern black/white ( one with a road number and one with NO road number and one "Horsehead" with a road number), Union Pacific yellow/gray/red ("Baby Wings"- two with road numbers and one with NO road number. The Gold Series will be done in the above paint schemes and will feature Electronic Dual-Mode Decoder which allows the locomotive to run in DCC or traditional DC and QSI Quantum System for all those Great sounds. The expected delivery date for these locomotives is September 2005 with the Silver MSRP being $ 134.95 and the Gold MSRP being $ 244.95. Atlas has announced that they are doing a run of 2-Bay Offset Side Hoppers w/ Flat Ends. These hoppers are modeled after the open hoppers of the 1930's and 1940's used to transport coal. The NEW Road Numbers will be on models of Northern Pacific, Boston & Maine,& Chesapeake & Ohio. The NEW Road Names are: Canadian Pacific, Chicago & Eastern Illinois, Delaware & Hudson, Jersey Central, L&N, New York Central, & Pittsburg & Shawmut. They are also doing several three packs. They are: Chessie System (B&O), Monon (three schemes), Reading (Roman lettering and Speed lettering), & Santa Fe. The estimated delivery for these cars is August 2005. The MSRP is $12.95 for the single and $41.95 for the three pack. Atlas has also announced Decorated Code 100 Plate Girder Bridges. These will be based on a common prototype and decorated for Erie (black/white), New York Central (silver/black), Rio Grande (silver/black), and Santa Fe(black/white). The MSRP for these bridges is $ 9.95 and delivery is expected August 2005. GM ( General Motors) has terminated all licensing of 1:87 scale models of their products. This policy is said to cover all GM vehicle brands worldwide. The reasoning behind this move may be ignorance of many things. Firstly, if they are reasoning that models larger then 1:87 present less of a choking hazzard for children - what about the detail parts present on the larger models. These it would seem, present the same hazzard. Also , some 1:64 scale models are actually smaller than certain 1:87 models. 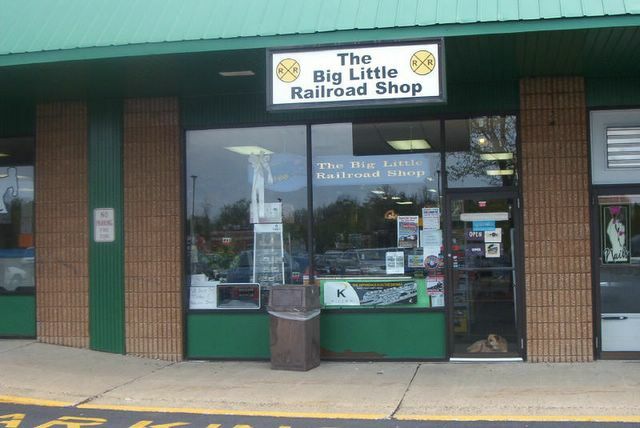 Secondly - if they feel that 1:87 vehicles do not reach a market of significant size, they have no idea of the size of the HO railroading market in the United States alone ( forget about the rest of the world). 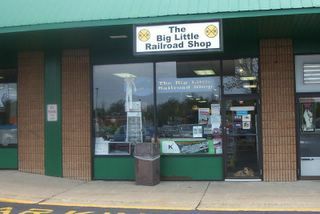 It is estimated that a quater-million people participate in model railroading in the US. Approzimately 60% of those people identify HO or 1:87 as their primary scale. Now if you are populating a layout you need at least one vehicle per driveway, many vehicles per parking lot and some aditional vehicles to make your highways look "alive". That's going to be a lot of Fords and Chrysler products!!!! Perhaps GM will see the error of their ways and "recall" their decision to limit their licensing to models 1:64 and larger; however, if not I've seen rumblings suggesting that no new HO GM models might translate into no new 1:1 scale models in the driveways. Time will tell. Kato has announced they are releasing an N scale SD70MAC in the green and cream "Executive" scheme of Burlington Northern. There will be three (3) new road numbers. The model will have the traditional KATO five-pole motor with brass flywheels, DCC- friendly mechanism, KATO magnetic knuckle couplers, illuminated number boards, and directional LED headlight. The ETA for this locomotive is August 2005 and the proposed list price is $ 105.00. Any pre-orders that we receive for this locomotive by June 15,2005, will sell at $94.50. We intend to post information from manufacturers about new releases. Send us an email to order, and we'll give you a 10% discount on pre-orders.